We had a blast working on Revolution Rock with Kerrang! Radio. Music has such a unique way of bringing people together and creating positive change. We think that this shone through in this campaign which spotlighted some of the amazing people and organizations that work tirelessly to give people opportunities through music, such as The Warren Youth Project in Hull and Rhythmix. Revolution Rock was endorsed by some fantastic people and we would like to thank Frank Turner, Tom Morello, Andrew WK, Mike Shinoda, Jonathan David, Loz Guest, Marshall Records and many more. 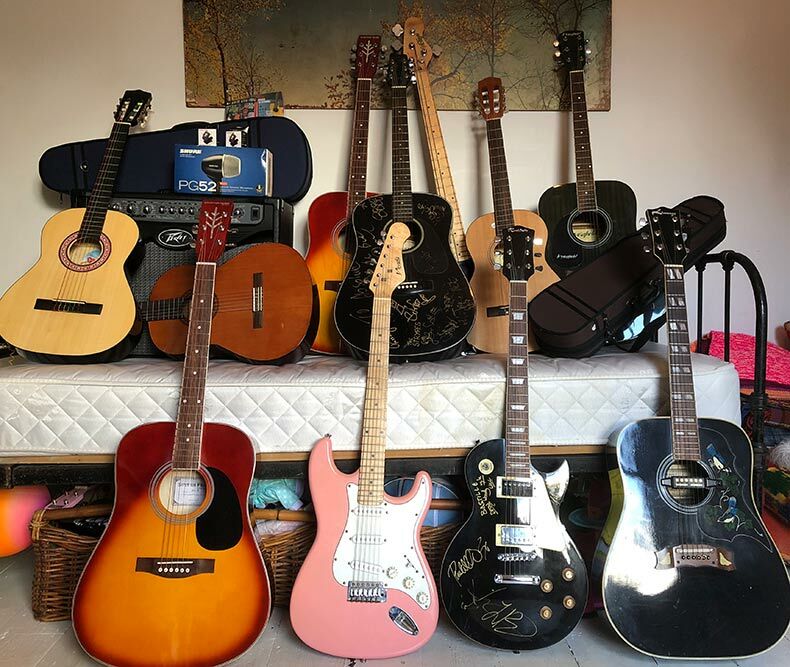 Part of the campaign was an instrument amnesty encouraging listeners to donate unwanted instruments. We weren’t sure how this would go but after a backline donated by Marshall, a drum kit, Peavy amp, 2 violins, mics, stands, a mixer, leads and 11 guitars later it was clear that people certainly engaged! Links to awesome Revolution Rock stuff! !